Lugging lounge chairs, inflatable mattresses, army cots and assorted camping paraphernalia, participants in last weekend’s inaugural Spring Fling Slumber Party congregated in the Maui Humane Society parking lot, moods jubilant, hearts open and tongues wagging in anticipation of the night ahead. The festive ambiance had all the energy of a college-game tailgate party with furry four-legged rescue pups as team mascots. As we awaited further instruction, some of us introduced ourselves while others –longtime MHS volunteers, supporters and staffers — hugged, high-fived and threw shakas at their animal-loving compatriots. 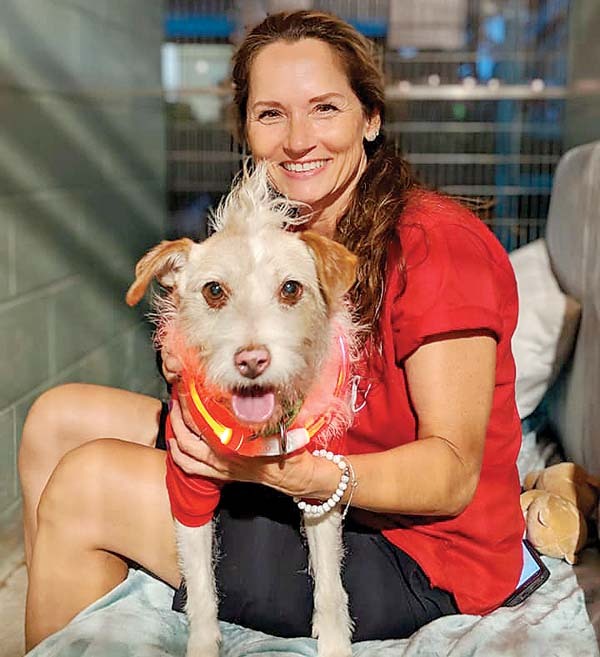 “The first thing that I did when I settled here a little over three years ago was to look up animal organizations,” explained Jamie Sue West, who has been volunteering and fostering for MHS as long as she’s been on island. 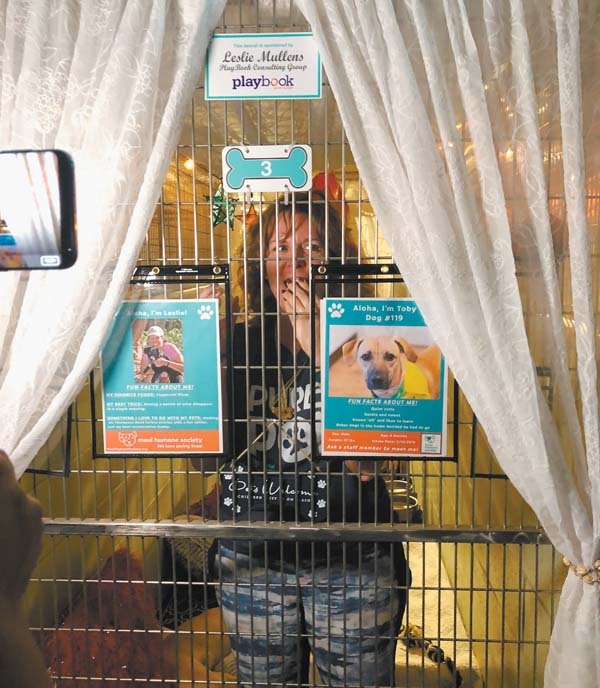 West was among 14 men and women who served as the first graduating class of what organizers hope will be an annual event raising money and awareness for shelter animals. 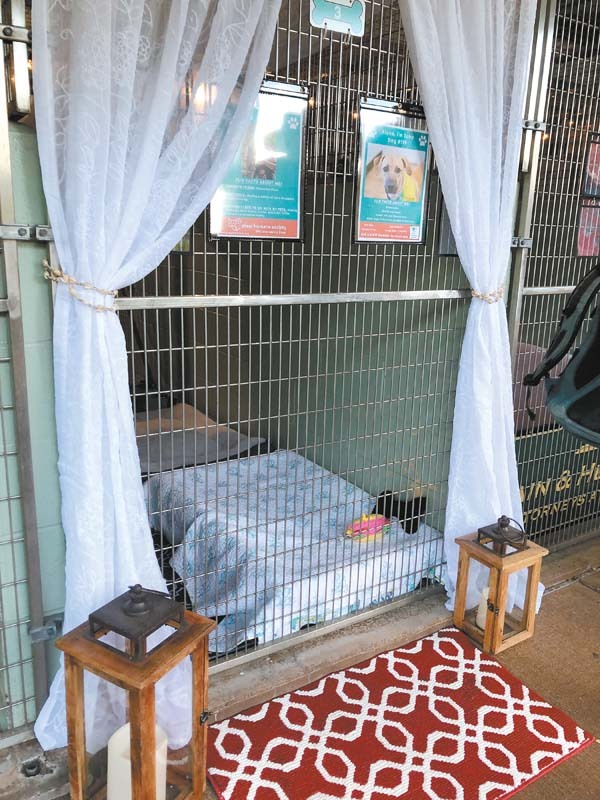 The slumber party, patterned after a similar fundraising event on the Mainland, required participants to raise a minimum of $1,500 in donations in exchange for spending 12 hours, from 6 p.m. Saturday to 6 a.m. Sunday, with a shelter dog in his or her kennel. The upbeat evening featured challenges for donations, such as eating dog biscuits, drinking out of (clean) dog bowls and imitating your kennel-mate. 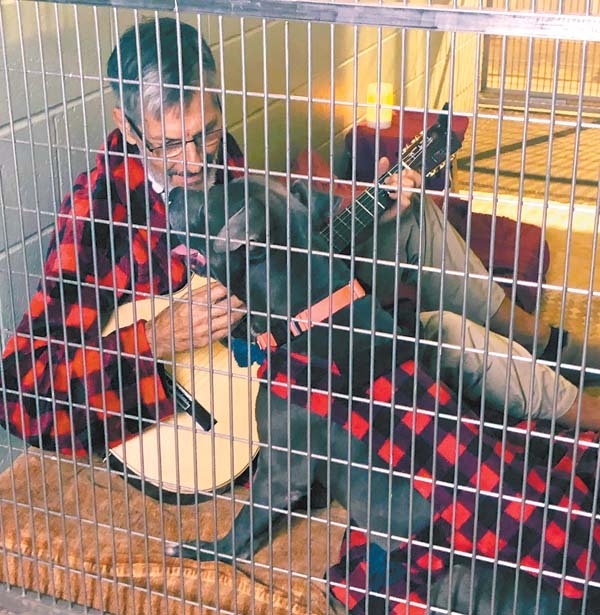 A few talented participants offered up their own challenges, including Jeff Heisel who penned touchingly poignant lyrics to the melody of the Oscar Award-winning song, “Shallow” from “A Star is Born,” which he crooned to kennel-mate Mana Banana — a bruiser of a brooding pit bull mix who melted into a puddle of attentive adoration at the sound of Heisel’s soothing voice. While he later admitted to an almost paralyzing bout of nervousness prior to his challenge performance, Heisel says wise words from his volunteer brethren helped calm the jitters. Those in nearby kennels fell quiet as Heisel’s soft voice tinged with emotion spread throughout the compound, the lilting wordslifted by love and gentle evening trades. The video of his performance was quickly picked up by the popular website www.iheartdogs.com, and as of this printing has received more than 30,000 views. 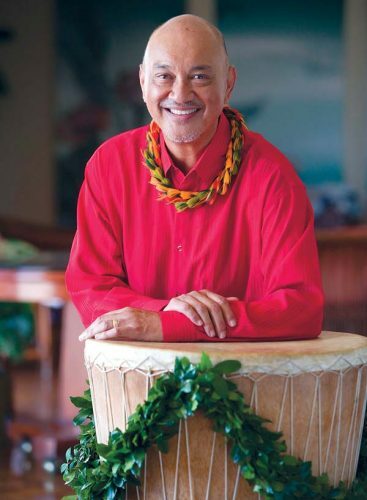 Heisel recalls weeping while composing the lyrics at home, an understandable reaction that was magnified tenfold by MHS staff, volunteers and event participants crowded around the kennel during the soul-stirring rendition. 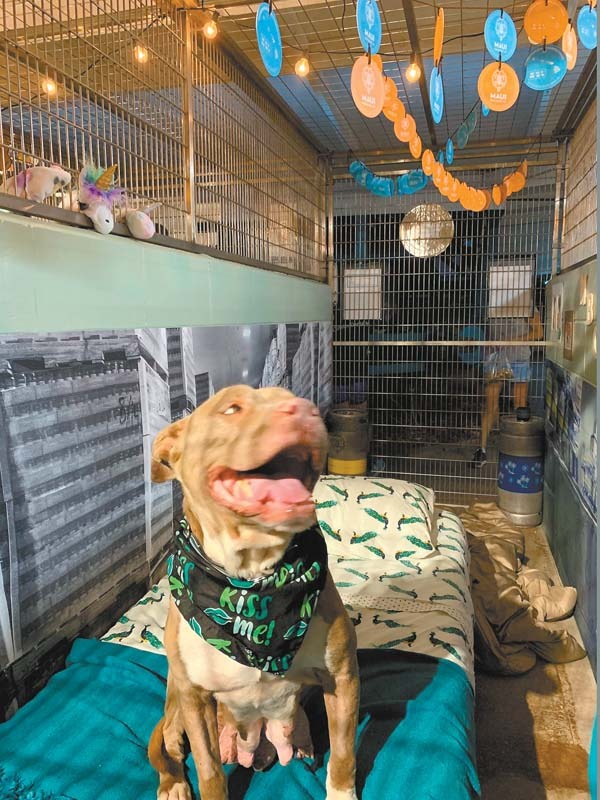 The profoundly positive impact human overnight guests had on the shelter dogs involved was visceral — and somewhat surprising, according to MHS staff who oversaw the fundraiser. “From my perspective, it was the emotional connections that were made that night,” said MHS Director of Development and Community Outreach Nancy Willis. “I don’t think anyone expected that. 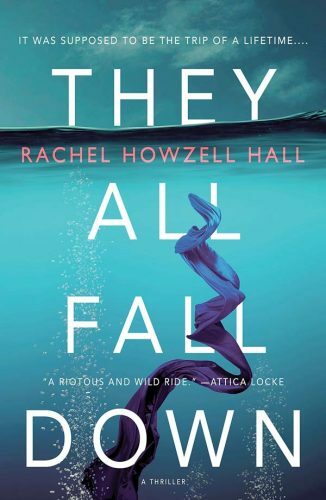 Everyone just really seemed emotionally invested in the night and the event. It was so special; it felt like a little community coming together for our pups and MHS. “When I came up with this idea, I felt like it was going to be a good fundraiser, but I wasn’t prepared for how emotional it was going to make me feel,” she continued. Bryant, who shared Kennel No. 1 with a block-headed beauty named Bella, agreed. 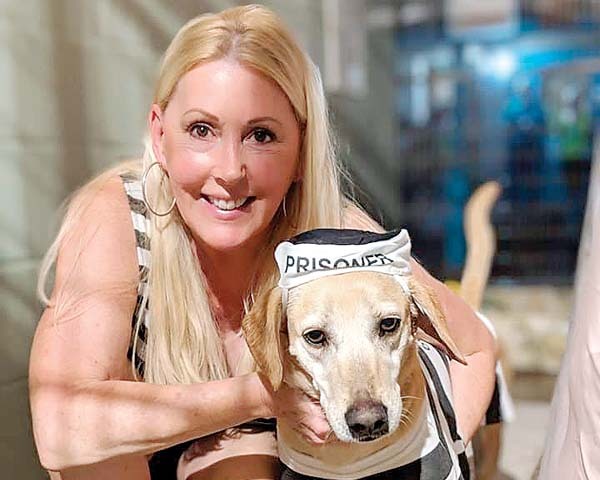 The dogs seemed to slip effortlessly into the laps of their human kennel mates, observed MHS Foster Coordinator Nikki Russell, who spent the evening introducing the pups to the online audience watching the event unfold live. 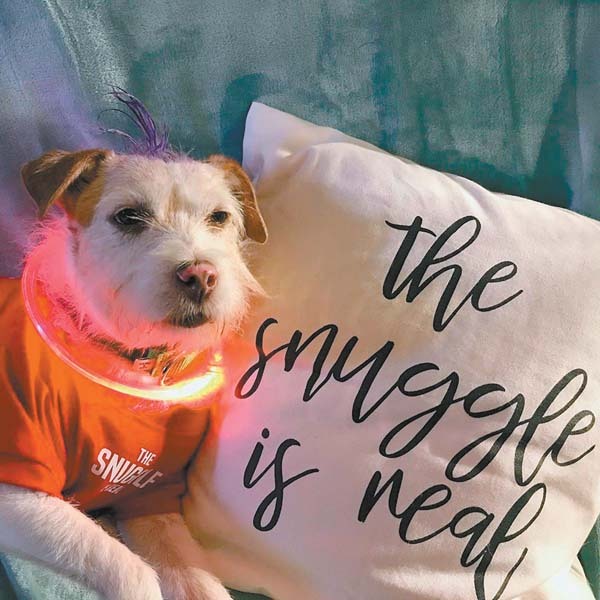 The inaugural event raised a whopping $47,000 plus change — a very successful endeavor for the shelter and one that Willis says will be replayed next year, only bigger and better. 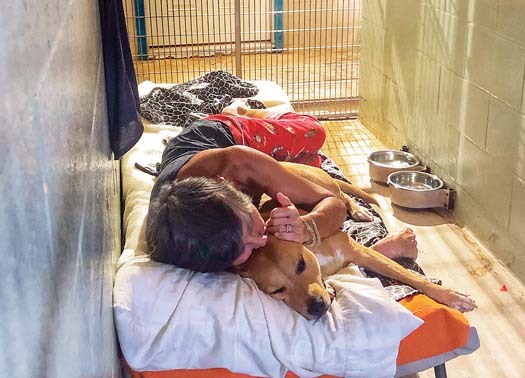 For the participants, one of the greatest universal takeways from spending dusk to dawn with dogs whose only desire is finding a human to love was a visceral understanding of what shelter animals go through night after night. 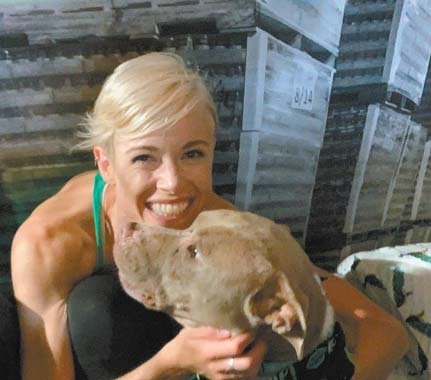 “After everyone had sort of settled in and the lights were turned down, you could really hear everything: dogs in the back kennels barking, street noise from the nearby highway, rain slapping on the roof,” mused participant Jamie Sue West. “It made me think about all that these poor dogs, some of which are surrenders after living most of their lives inside a home — have to endure. And it’s even worse for the shy, scared and timid ones. Pups like West’s kennel-mate Hi Ho Silver, who finally found his safe place sleeping on her chest, where he remained for the night. 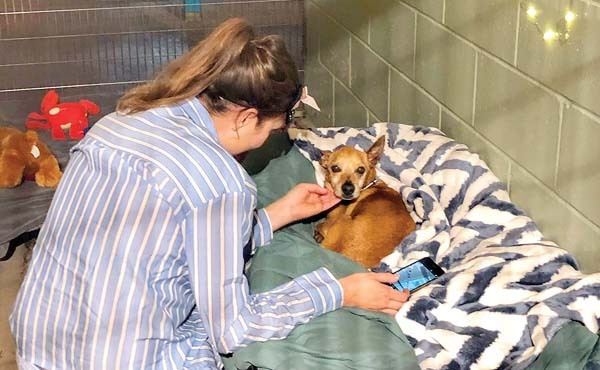 West was touched that after being “released” from the shelter, she turned her car around and drove back to see if the nervous pup was available for fostering. He was, and he stayed with her for the next several days until it was time for her to board a plane. Balladeer Heisel beautifully summed up his experience: “When I hear about folks complaining about their lives, about their problems, I tell them to adopt a dog. 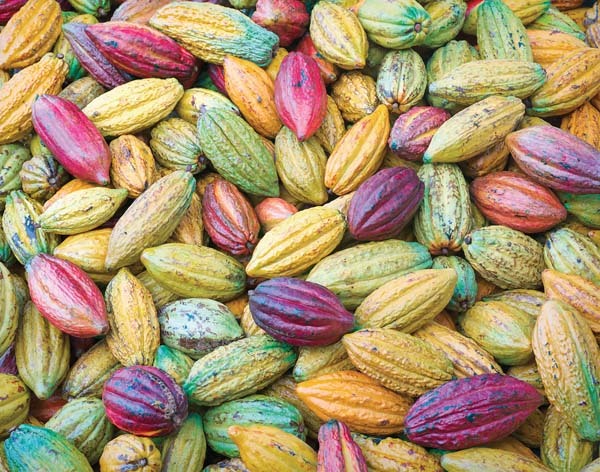 They’ll take you out of your head, out of that world. 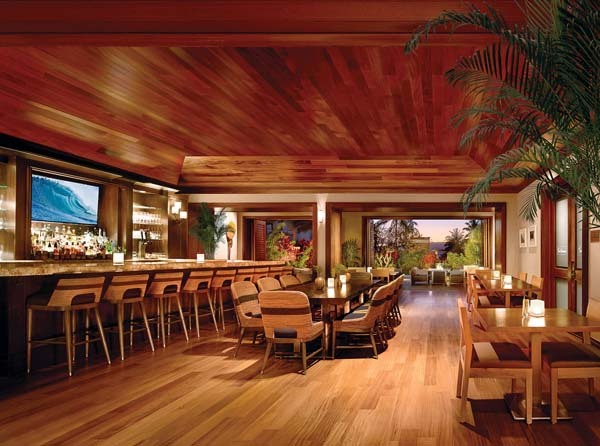 * Mona de Crinis can be reached at mdecrinis@mauinews.com. 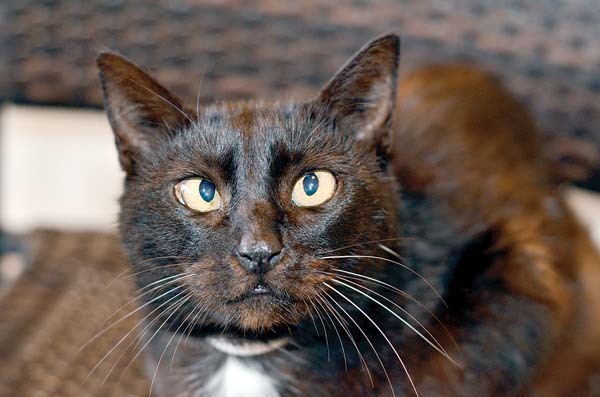 • Take advantage of free spay and neuter surgery for felines at Maui Humane Society’s MASH Clinic for Cats April 1-2. Call 877-3680, ext. 3 to make an appointment. • “Game of Homes: The Kittens are Coming” campaign offers opportunities for potential adopters and foster parents to help provide care for the spring siege of infant kittens. Visit www.mauihumanesociety.org and click on “Game of Homes” for details. • Freddie’s Birthday Party from 11 a.m. to 1 p.m. on Saturday, April 20 celebrates the shelter’s resident tortoise with cake, mermaid photo booth, kitten fostering demonstration, keiki zone and “name your price” adoption specials. Vital to the success of MHS, volunteer teams contributed more than 19,000 hours over the last year providing much needed assistance in a variety of areas, from conducting Doggie Play Groups to helping the staff as needed. Island guests can involve themselves in the Beach Buddies Visitor Program. Interested persons should fill out the Volunteer Interest Form at www.mauihumanesociety.org. To help animals now, visit with them between 11 a.m. and 6 p.m. seven days a week. You can also donate supplies or contribute to one of their many special funds. If you’re interested in adoption, call 877-3680, ext. 210, email adoptions@mauihumanesociety.org or visit the adoption center open daily from 11 a.m. to 6 p.m. Potential foster parents can sign up for foster orientation via the MHS website or by contacting the Foster Care Coordinator at 877-3680, ext. 221. Maui Humane Society is open daily from 11 a.m. to 6 p.m. and is located at 1350 Meha Meha Loop (off Veterans Highway) in Puunene. Call 877-3680 or visit www.mauihumanesociety.org for more information.